Dry weather can zap the life out of your hair. If you have straight hair, follow these simple haircare and styling tips to keep your locks looking their best. Most women don’t need to shampoo their every day; they just do it out of habit. If you live in a dry climate, use a moisturizing shampoo every other day, but rinse and condition your hair every day. 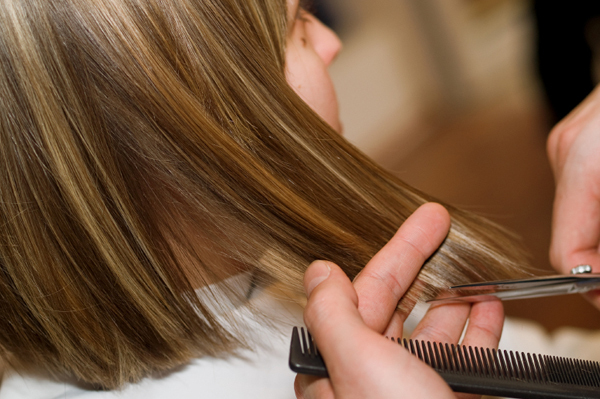 If you hair is exceptionally dry or damaged, use a hot oil treatment once a week to restore its luster. Avoid shampoos and other styling products that contain alcohol, which can further dry out your hair. Put away your blow dryer and flat iron. Dry air does enough damage that you don’t need to heat of your styling tools adding to the problem. Towel dry your hair, comb through with a wide-toothed comb and let it dry naturally. The Brazilian Blowout or another professional smoothing treatment can nourish your hair and keep it healthy in even the driest weather. Though these treatments can be expensive, they also can last for several months. Trim your splitends every 6-8 weeks to keep your straight hair looking beautiful. Dry weather can leave your hair a little flat, so consider a style with long layers to provide a little oomph. Extremely short hair is also a fantastic choice in dry weather. Though short hair is easy to manage on a daily basis, keep in mind that you’ll have to get it cut more often than longer hair to maintain the style.